Siamang Gibbon (Symphalangus Syndactylus) – Endangered. This species is threatened by forest conversion and opportunistic collection for pet trade on Sumatra, where both of these threats extend to populations in national parks and protection forests. Almost 40% of the habitat for this species on Sumatra was damaged or destroyed by logging, road development (barrier and hunting) and conversion to agriculture or plantations. Coffee plantations present an increasing threat. 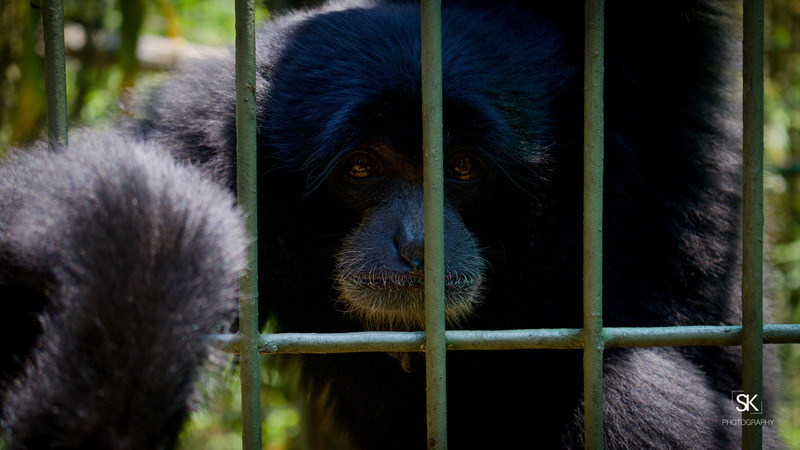 The siamang is one of the most heavily traded gibbon species for illegal pet trade. (IUCN Red List).